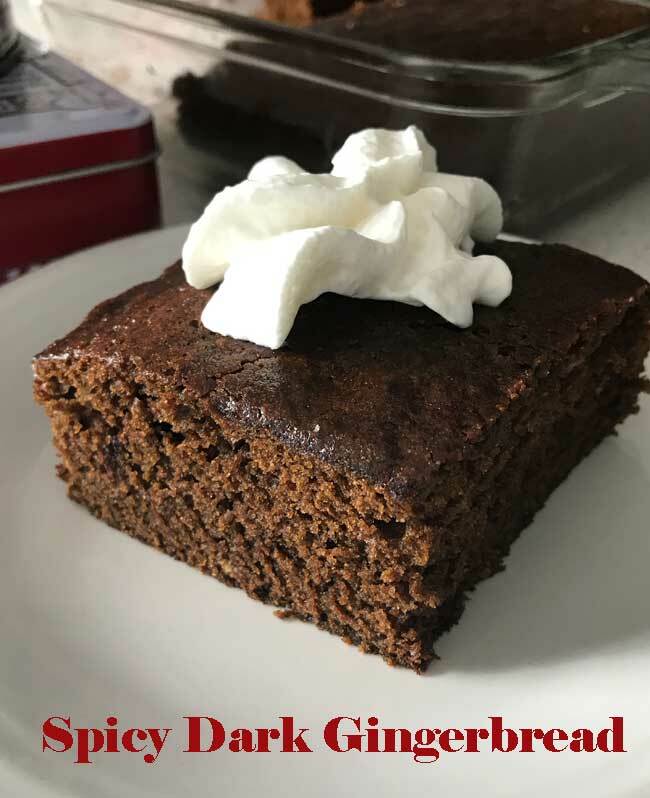 Dark and spicy gingerbread baked in an 8 inch square pan. Different brands of molasses will most likely give you slightly different flavors. I used Brer Rabbit mild. Preheat oven to 350 degrees F. Grease an 8 inch square glass pan. In a mixing bowl, mix together the molasses and boiling water. Add the sugar and stir until blended, then stir in the oil. Allow mixture to cool slightly, then add the egg and beat with a spoon until incorporated. In a separate bowl, mix together flour, baking soda, salt and spices. Add to the batter and stir until blended. Transfer to the pan and bake at 350 degrees F. for about 40 minutes. (but check at 30). It should feel firm and spring back when touched. To save a measuring cup, I put the mixing bowl on a scale and pour 144 grams of molasses right into it.